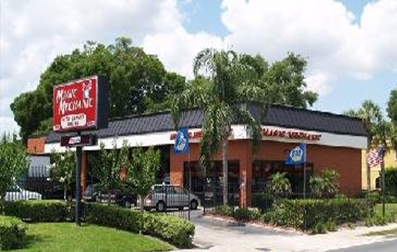 Since 1988, The Magic Mechanic has been the premier Independent Orlando Auto Service Repair Shop. Magic Mechanic technicians are capable of performing every aspect of auto repair and service on just about any vehicle. Our Orlando auto technicians are selected based on experience, knowledge, and ability. By offering only the best auto care experts to work on your car, along with high quality parts and installation, we ensure your automobile gets the care and attention it deserves. The Magic Mechanic, in Orlando, is affiliated with Amsoil, AC Delco, Motorcraft, Airtex, Bosch, Borg Warner, Delphi, Moog, and various other brands to provide exactly what you need for every repair and service. The Magic Mechanic is also the largest provider of Jasper Engines in Central Florida. Jasper is the nation’s largest remanufacturer of gas and diesel engines, transmissions, motors, and many other automobile components. Along with these consistently satisfactory products comes outstanding warranties; customers enjoy the benefit of having their products backed by generous guarantees. To experience a new level of Orlando auto service and repair, visit our repair center today. Call us today at 407-629-2661 for all of your auto repair needs.